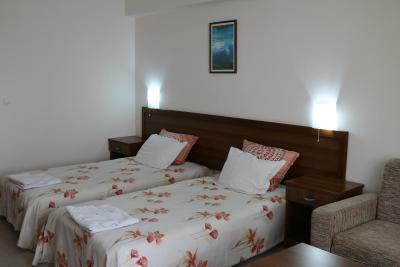 Lock in a great price for Kralev Dvor Hotel – rated 8.3 by recent guests! Very nice small private hotel, centrally located on the main street with restaurants and shops,15 min to the gondola. We stayed in a big apartment, warm and clean. Wifi very good. Breakfast simple but delicious. My friend used the sauna and she was very satisfied of the cleanliness. 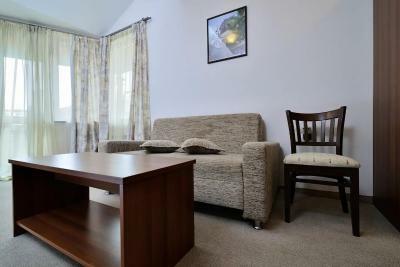 Very clean and comfortable house near the town centre. 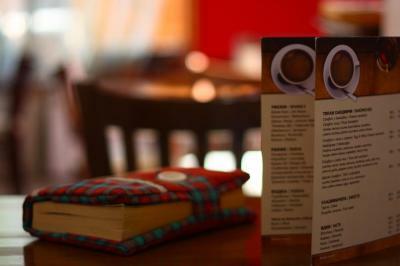 The staff is very friendly and reliable. 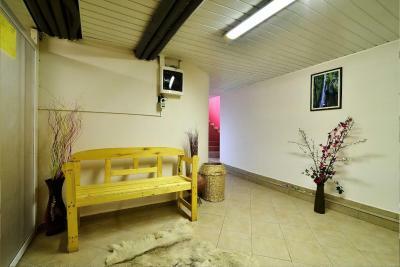 Very spacious room, excelent bathroom, the view from the rooms is amazing, looking to the mountains ski resorts, transfer service very flexible and kind and similing staff, we recomend it!!! 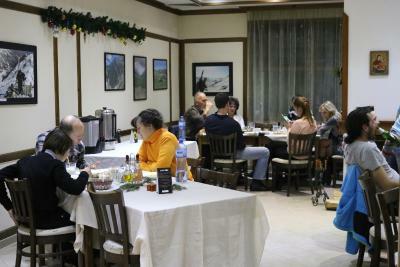 The food was very good, the breakfast had enough variety, We served as well dinner and even if the meal are mostly traditional they are very tasty and freshly prepared. They have as well a dinner menu of 7 euro, but you have to ask for it. The room was quite confortable but the bathroom very small and not convenient . There was not the equipments that were supposed to be there :no hair dryer ,no bar . Die Inhaber des Hotels sind sehr hilfsbereit und freundlich. Wir haben uns sehr wohl gefühlt. Мястото е чисто и спретнато и адекватно като цена-качество. Нам поменяли место проживание на отель Tipik ! ВСЕ оценки ему! Kralev Dvor Hotel This rating is a reflection of how the property compares to the industry standard when it comes to price, facilities and services available. It's based on a self-evaluation by the property. Use this rating to help choose your stay! Fusing comfort, brightness and a host of facilities, the charming Kralev Dvor Hotel presents the ideal base for relaxation and exploration. 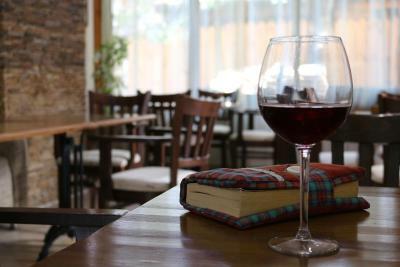 Just 5 minutes from the center of Bansko and in a tranquil spot, this hotel features the best of both worlds. Embrace the intimate ambiance and host of comforts on offer. 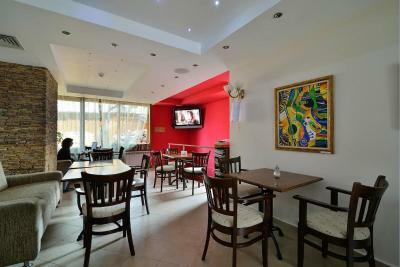 Sip refreshments in the cozy bar and taste an impressive fusion of delicacies in the traditional, inviting restaurant. The hotel is also 10 minutes from the elevator station, to which transport is offered. Venture to the garden for a leisurely stroll and admire the mountain vistas. 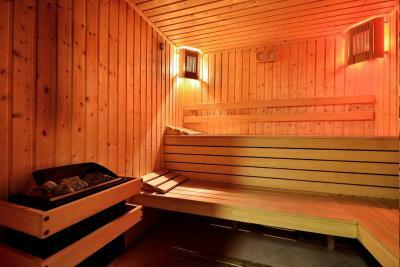 Pamper yourself with a trip to the sauna. Retreat to your vibrant and spacious, fully-equipped room and unwind in stylish comfort. Kralev Dvor uses water and energetic resources in a very economic and environment-friendly way. It offers regional products, disposes the garbage separately, supports actions for saving the nature and popularizes a responsible attitude among its clients. 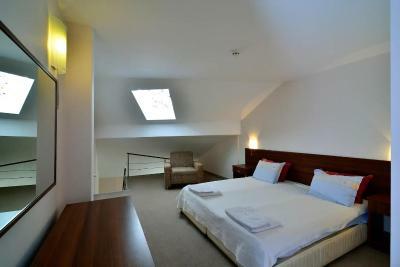 When would you like to stay at Kralev Dvor Hotel? In 2008 the hotel received a “Green house” diploma. It means that hotel “Kralev dvor” economically uses water and energetic recourses , offers regional products, disposes the garbage separately, supports actions for saving the nature, is active representative of the regional culture and popularizes responsible attitude amongst its clients. 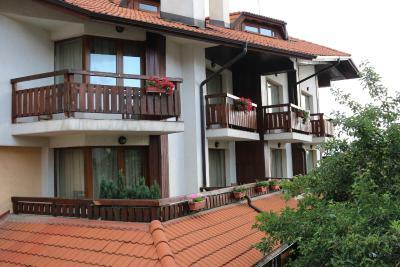 In may 2009 the mayor of Bansko, bestowed the “Best family hotel” prize to our manager. House Rules Kralev Dvor Hotel takes special requests – add in the next step! Please note that late check-in after 22:00 is possible on request and at the extra charge of EUR 10. 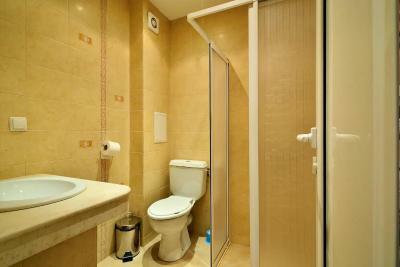 Guests may contact the property directly with the contact details provided in the confirmation. The beds are a bit hard but for two nights we didn't have any problem. The temperature in the room was a little low, but after we adress the problem they gave us an extra electric heater. 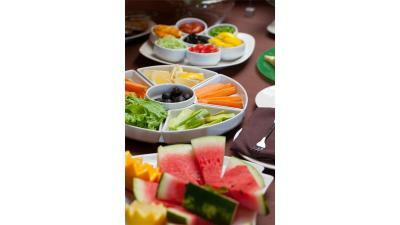 The breakfast was very poor and not fresh and could have send us to hospital ! The boiled egg I chose was not correctly boiled and black inside ! When I show it to the manager ,she just smelt it ,put it in the bin with no kind of apology ! What a shame ! I had never seen that in my entire live !